I was blown away by your performance of One Good Egg. Raw. Honest. Heavy topics without feeling heavy. Uplifting. Touching. Hilarious. Brilliant. These are just some of the adjectives that come to mind. I think your story is so poignant and beautifully told and important to help others better understand themselves through your journey. —Brian N. Incredible!! I’m still beaming from it. Elaine, wow!!! Just wow. You rippled tremors of love & healing through the entire planet! —Annie F.
Your piece moved me to my core. The raw beauty and vulnerability you were able to capture that touched my soul. Witnessing someone in pure authenticity is magic. You were and are incredibly beautiful and powerful. Thank you for being such an inspiration and illuminating my path that much more for me. Thank you so much for coming alive, it’s such an invitation for me to do the same. —Erika S.
I want you all to know that this show was amazing—so professional! —easily as amazing as a Mike Birbiglia or other skilled one person show genius out there today. The crowd, laughed, cried, clapped, howled, sang, wolf whistled! DURING the show! —Vanja T.
I am bowled over and speechless at the fearless, beautiful and bold story. 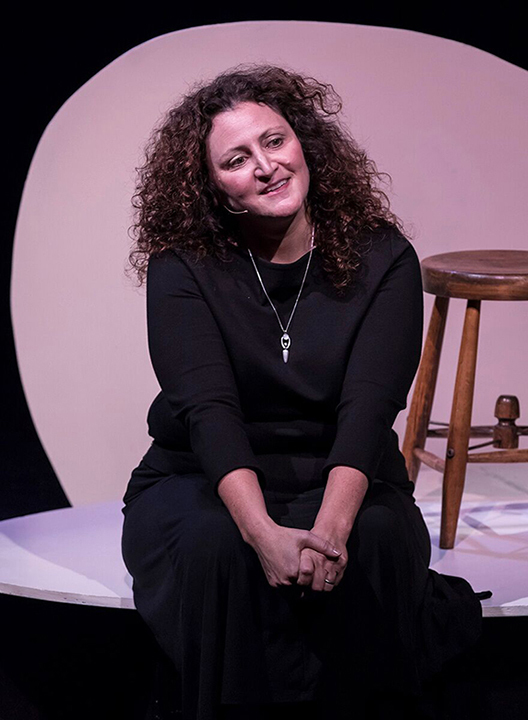 —Kristin R.
You must check out the poignant and hilarious performance by Elaine Gale in One Good Egg. I caught the LA debut and we were blown away by her insight-filled truth-telling, and courageous humor. —Gregory M.